Expect it to feel colder out on the water due to the wind-chill factor, and the reservoir water will stay very cold until mid-summer. But you don’t need to splash out on expensive equipment: we provide wetsuits and wind-proof spray tops. Just bring old trainers, a tee-shirt and a change of dry clothes. No sailor is allowed on the water without a buoyancy aid, which the club provides. If your child feels the cold, it’s wise to buy sailing gloves and a beanie hat for cold and windy days. As their interest grows, invest in their own buoyancy aid, a rash-vest, wet suit, and neoprene boots, with a spray top for windy days. All can be bought quite inexpensively from sports superstores and sold on as they grow. All sailing sessions are controlled by a Senior Instructor, whose word on both on-shore & on-water activities and discipline is final. The S.I. is supported by safety boat crews who watch out for any sailors requiring help. No juniors are allowed out without safety boat cover. 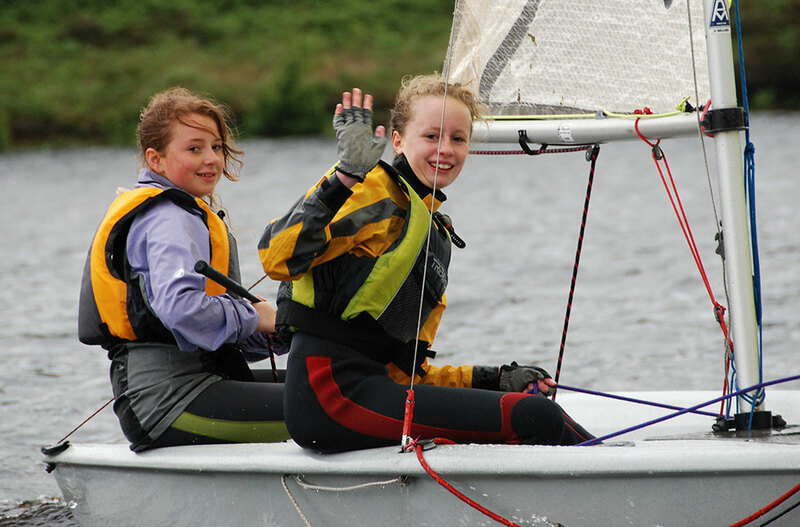 Junior Club introductory sessions are not formal training courses, but are run by RYA qualified sailing instructors, who will assess the experience of each junior and recommend appropriate sailing activities. 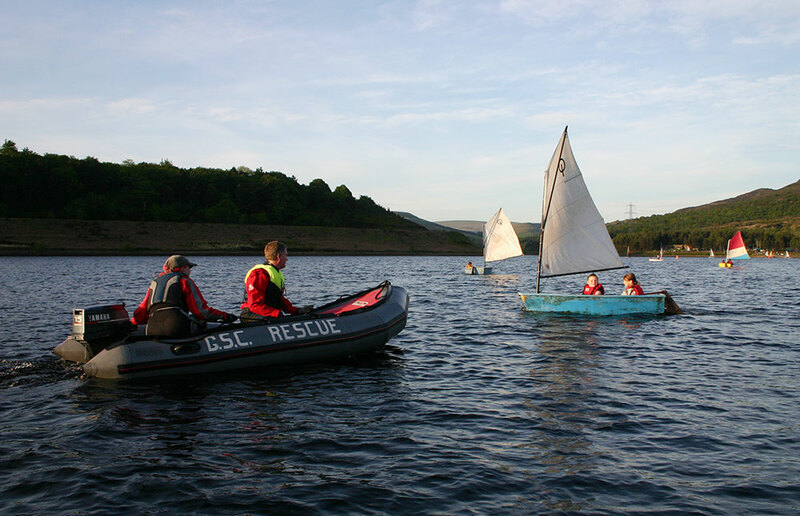 Glossop Sailing Club has a rigorous Child Protection policy in place for both junior members and young visitors. The Club’s Child Protection Officer is responsible for ensuring that all members working with juniors have the required Criminal Records Bureau clearance, and are trained to recognise abuse and able to deal appropriately with individual children’s issues. Copies of the Club’s policy can be downloaded from this website. Click here for Photo Consent Form. Click here for Child Safety Policy 2016.